The social media platform continues to evolve. In the past few weeks, I’ve read several good articles and found some helpful apps. I’ve collected several of them in this blog to share with you. Companies will be adding this button to their websites, making it easier for any consumer on the web to begin following companies of interest, on LinkedIn. Whether you are looking to stay up-to-date on company news, career opportunities or industry trends, following companies on LinkedIn is a great and easy way to gain insights and stay connected. I started my career as a print reporter. A photographer was assigned to capture an appropriate image to accompany the story. When I moved into PR, I took my own photos for newsletters. I had studied photography so it wasn’t too much of a stretch, although I would have preferred a professional photographer on staff. Today, I have to think about videos to go on my company’s blog, Facebook page and website. I do the same for my personal blog. If you want to learn more about how to tell a story through video, Poynter has an article with 9 helpful steps. 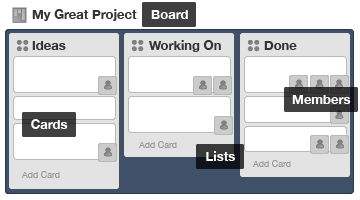 Trello organizes all of your projects and tasks. Trello organizes all of your projects and tasks and who is assigned to them in an easy-to-view format. Even better, the mobile and web versions contain the same features. Now that the weather is getting nice, my trainer is encouraging me to get outside and run. I want to know my distance so MapMyRun is my go-to app. I’m always finding articles to read. Sometimes I go down scary rabbit holes and forget what I started off searching for. Now I use InstaPaper, an app that lets me bookmark interesting web pages for later reference. The best part is I can read it on my phone when I’m waiting for an appointment or stuck in line. What have you read lately that’s worth sharing?